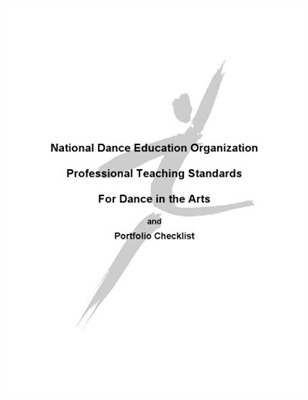 The Professional Teaching Standards for Dance Art describe the criteria expected of accomplished dance educators. These eight professional teaching standards address four domains of knowledge, which include the mastery of dance content, the skills and knowledge in dance, the mastery of teaching and learning dance in relationship to education and community resources, and the mastery of reflective practice – research, student/teacher assessments, and program evaluation. The Professional Teaching Standards provide guidelines for accomplished teachers and may be used in ascertaining the “highly qualified” status of a dance educator in a state transitioning to full dance certification; or, in states without certification, they may be applied in formulating policy towards certification in dance education.